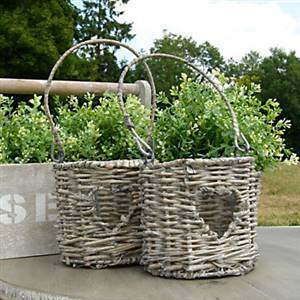 Beautiful willow lantern with cut out heart and handy carry handle. Complete with glass inner jar for a tea light or candle. H 13 cm Dia. 13 cm (H 29 cm including handle).